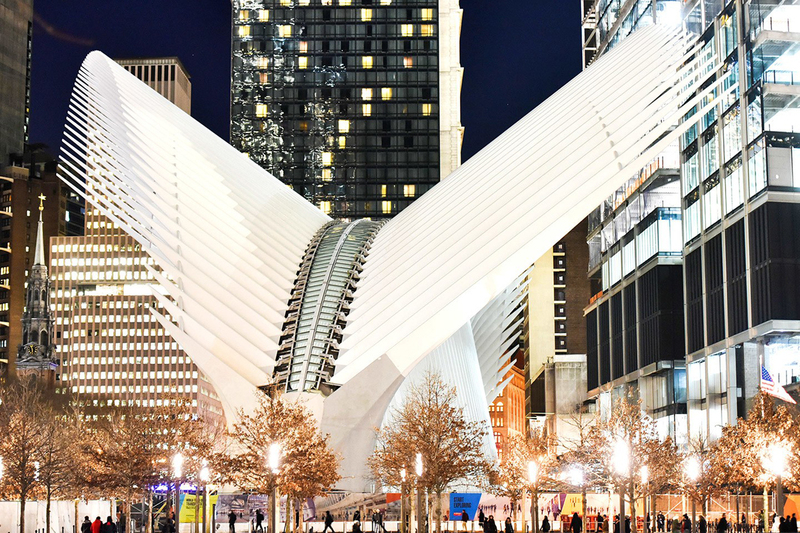 The World Trade Center station is located on the site of the Hudson and Manhattan Railroad (H&M)'s Hudson Terminal, which opened on July 19, 1909. 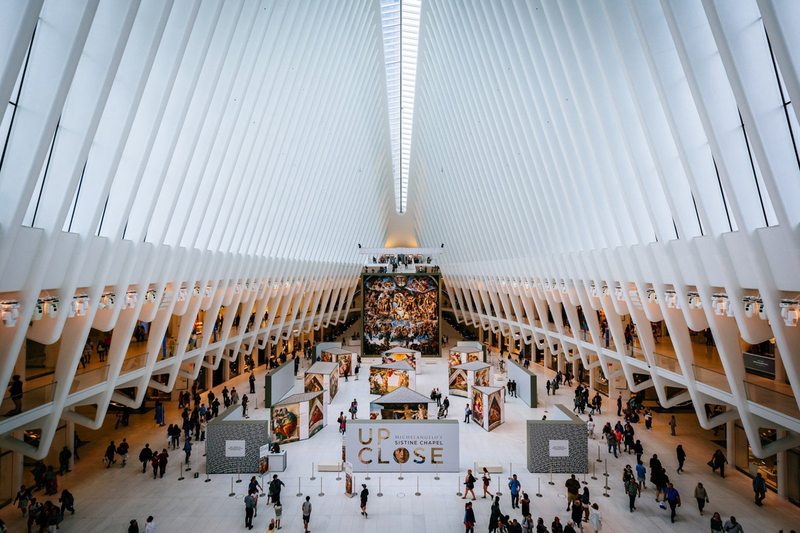 In 1961, the Port Authority of New York and New Jersey bought the bankrupt H&M system, rebranded it as PATH, and redeveloped Hudson Terminal as part of the World Trade Center. 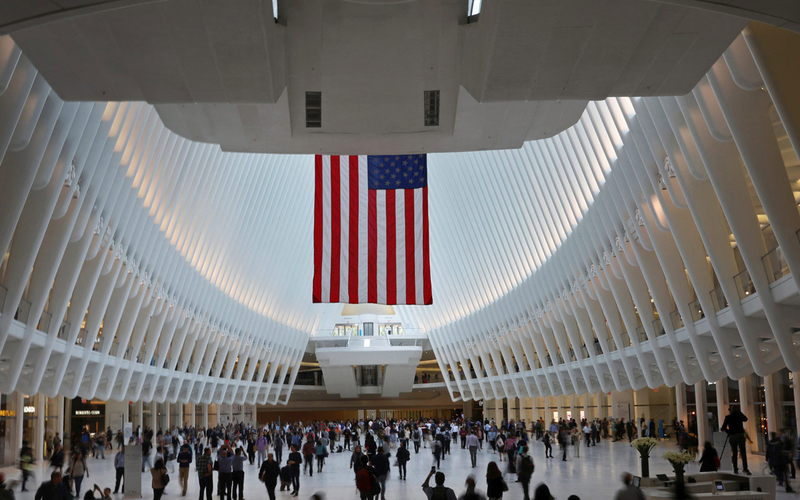 As part of the construction of the World Trade Center, Hudson Terminal was torn down, replaced with the World Trade Center station, and re-opened on July 6, 1971. 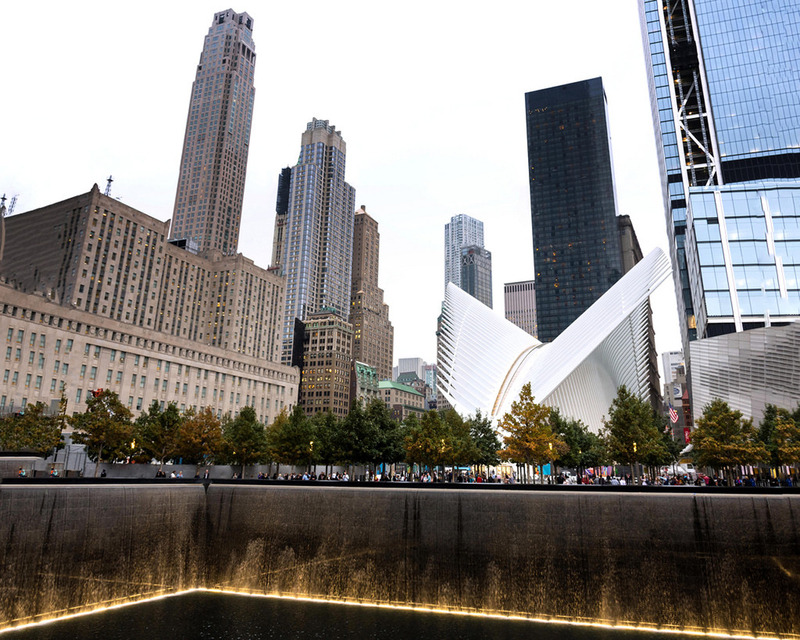 Following the September 11, 2001 attacks, a temporary station opened in 2003 while the World Trade Center complex was being rebuilt. Work on a permanent station building commenced in 2008. 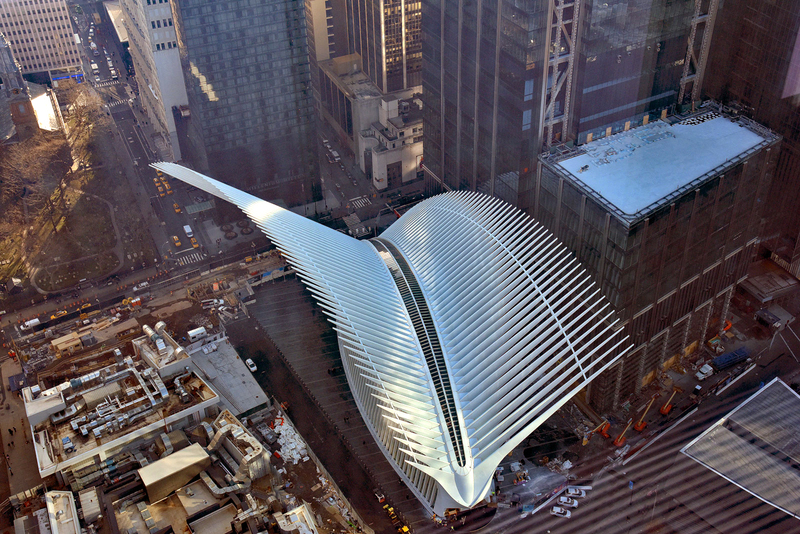 The main station house, the Oculus, opened on March 3, 2016, and the terminal was renamed the World Trade Center Transportation Hub, or "World Trade Center" for short. 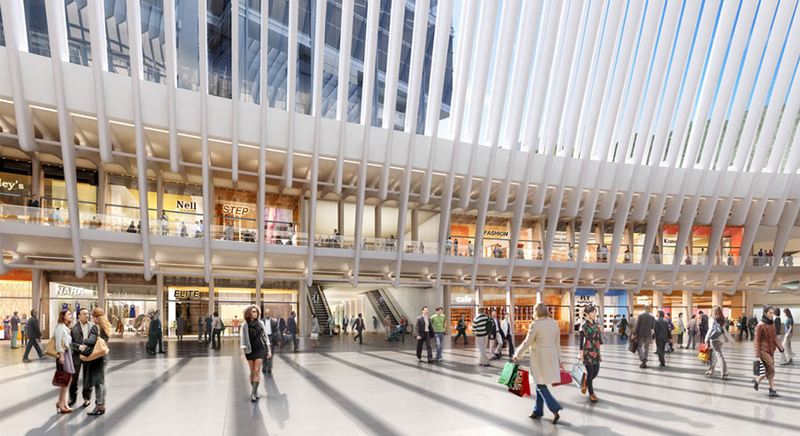 The World Trade Center station has five tracks and four platforms in the middle of a turning loop. Trains from New Jersey use the loop to turn around and head back to New Jersey. It is four floors below ground level. The floor immediately above the platforms is occupied by the station's fare mezzanine. 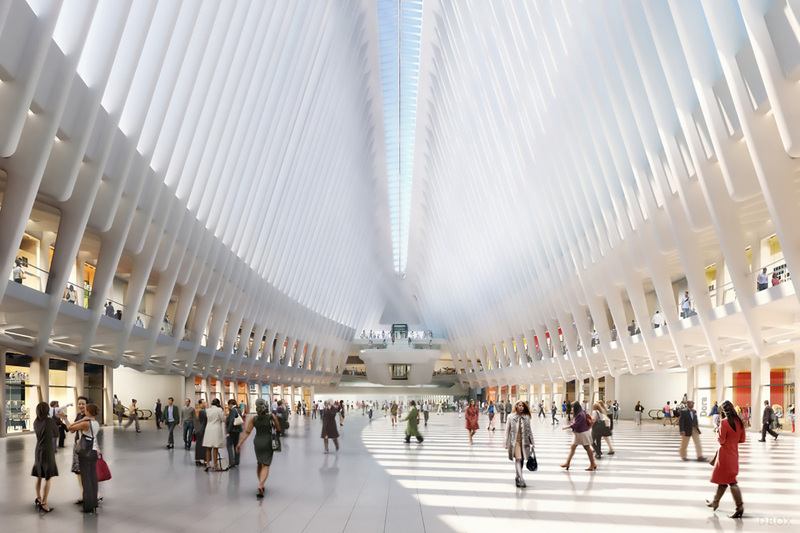 The New York City Subway's World Trade Center–Cortlandt station is adjacent to and above the mezzanine. 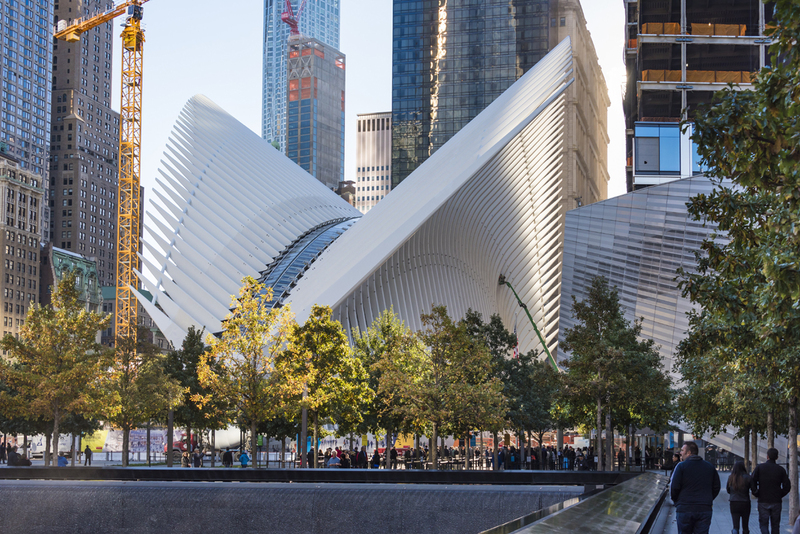 The $4 billion Oculus station house consists of white ribs that interlock high above the ground. 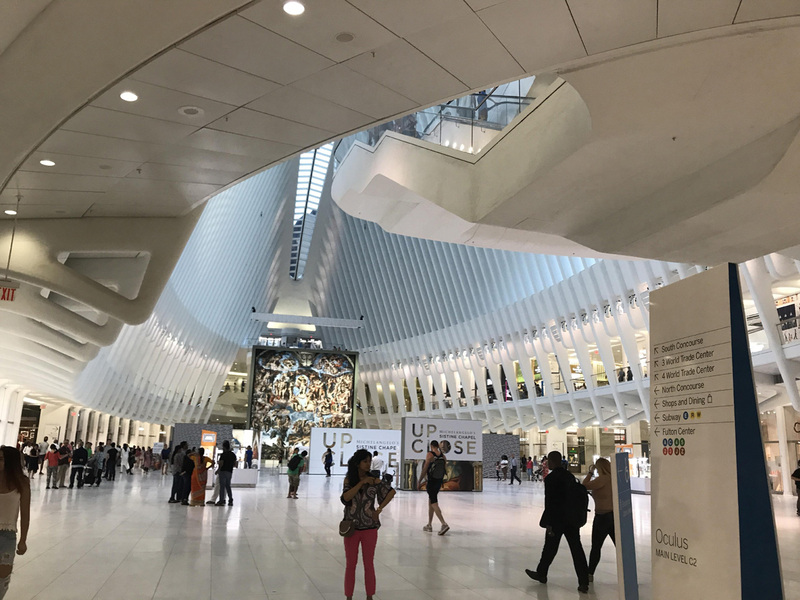 The interior of the station house contains two underground floors, which house part of the Westfield World Trade Center mall. 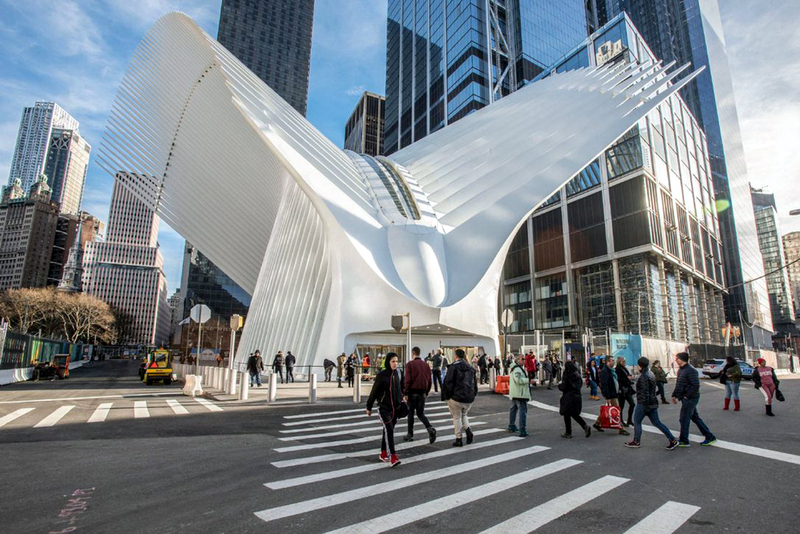 The transportation hub connects the various modes of transportation in Lower Manhattan, from the Fulton Center in the east to the Battery Park City Ferry Terminal in the west, through the station house. 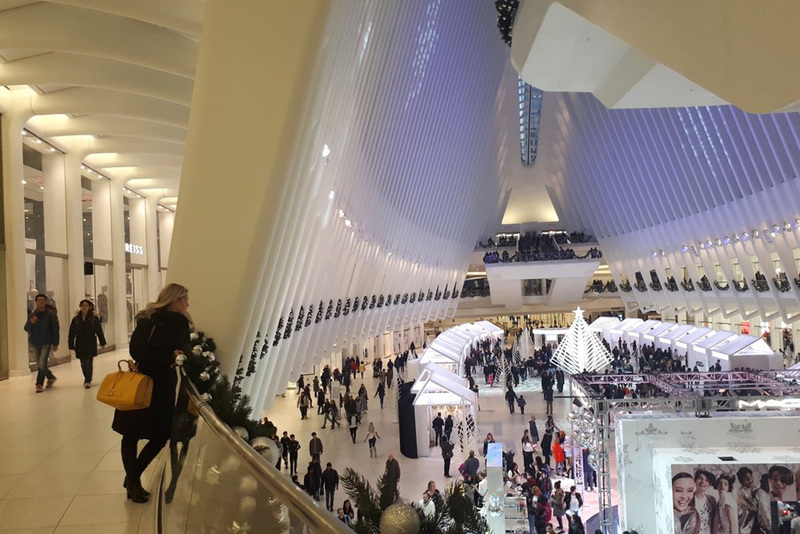 The hub contains connections to various New York City Subway stations, including Cortlandt Street on the N, ​R, and ​W trains; World Trade Center on the 2, ​3​, A, ​C, and ​E trains; and World Trade Center–Cortlandt on the 1 train. 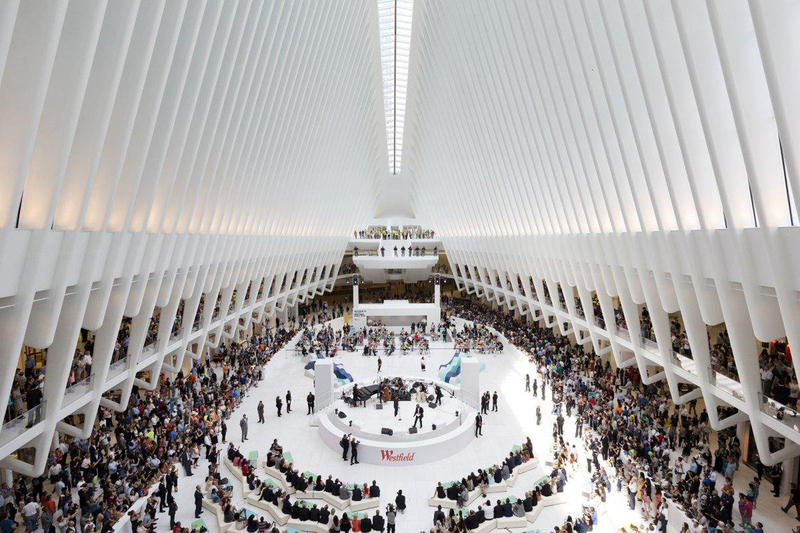 The Westfield World Trade Center mall is also within the Oculus building. 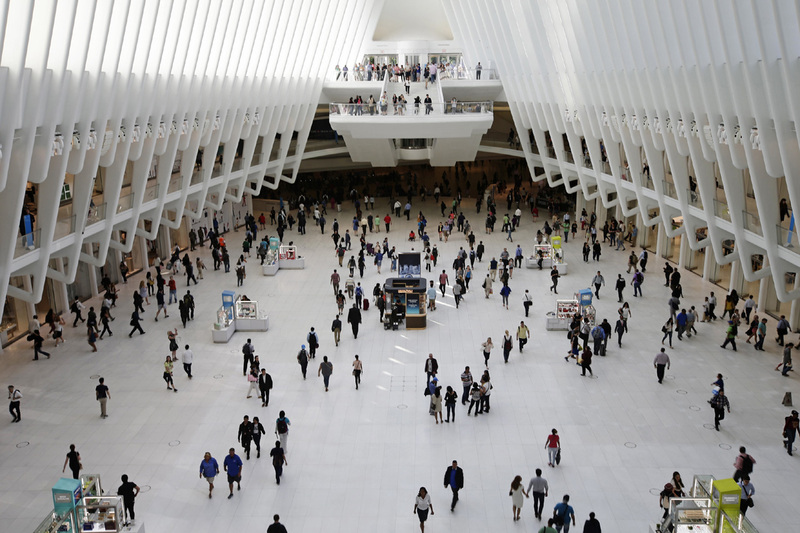 The new station has received mixed reviews: although the hub has been praised for its design, it has also been criticized for its high costs and extended delays.